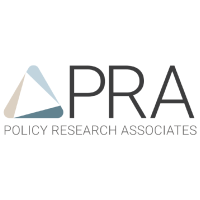 Policy Research Associates, Inc. (PRA) has been named a 2018 Top Workplace by the Times Union and was awarded first place in the small employer category. In addition, PRA received the Doer Award, given to a company where the majority of employees agree with the statement "At this company, we do things efficiently and well." The Top Workplace Awards are conducted each year by the Times Union. Employees nominate their firms, and, if selected, staff complete a survey to share their thoughts on their workplace. Survey questions measure employee sentiment on statements ranging from "I believe this company is headed in the right direction" to "This company enables me to work at my full potential." Completed surveys are ranked by business size to determine the Top Workplaces in three categories: small (35-100 employees), medium (100-299 employees), and large (300 or more employees). It is an incredible privilege to be named the Top Small Employer for the second time; PRA was last named Top Small Employer in the 2013 Top Workplace Awards. PRA is honored to be a place where its employees feel as valued and invested in their work today as they did 5 years ago. ​PRA staff work incredibly hard and do impactful work providing research, technical assistance, and training to create positive social change for people who are disadvantaged. But this hard work is balanced with a great work environment. PRA's passion for workplace wellness and employee appreciation is at the core of its values: doing good work \\ at a fun place \\ with a hardworking bunch \\ to make an impact. Staff at PRA are provided a rich benefits package, including an annual Day of Reflection, wellness reimbursements, flexible schedules, student loan repayment assistance, and expanded New Parent Leave. PRA and its employees are also heavily invested in the Bethlehem community through extensive volunteer work and a charitable gift matching benefit. ​PRA strives to be a place where employees' voices are heard and their ideas are supported. To achieve this, PRA operates internal affinity groups and committees to provide guidance and recommendations on topics ranging from cultural competence to technology. PRA strives to ensure its employees are able to reach their full potential through annual professional development opportunities to advance their learning. PRA is grateful to the Bethlehem community for providing PRA employees a place to live, work, and thrive over the past 30 years. PRA is a special place—a Top Workplace—because of the hard work and character of its employees. We are grateful for their work in making PRA #1!